The Netflix original series, “Bloodline,” is like a drive on Highway 1 through the Florida Keys, the setting for this family saga. There is the initial excitement of exotic scenery and a new adventure, but once the fascination wears off, there is not much to hold your interest other than sun, heat and humidity. There are a few attractions along the way, but you start to wonder when something exciting will happen and if the ride will be worth it. The answer is a qualified yes. 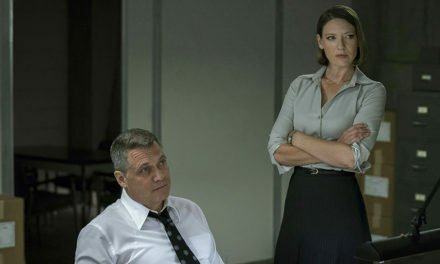 The pace is languid and some of the foreshadowings are obvious enough that major plot events in this Netflix TV show are of little surprise, but “Bloodline” also has mystery, simmering suspense and film noir touches with the support of a strong cast and creative team (its producers also created “Damages”) that make you want to stick around and see what happens. Robert and Sally Rayburn (Sam Shepherd and Sissy Spacek) run a seaside inn on Islamorada. Three of their adult children, John, Kevin and Meg, live close by and drop in to help out or visit on a daily basis. The fourth child and oldest son, Danny, who is clearly the black sheep, arrives for a visit timed with the dedication of a local fishing pier to be named after papa Rayburn. It’s immediately clear there are family secrets to be discovered and stories to be told. 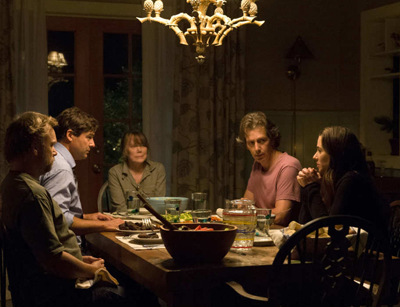 “Bloodline” spins out slowly in stops and starts with flashbacks and flashforwards. We know some of how the story will end, but not how we will get there. The slow reveal, which also keeps the main characters at arms length for some time, comes with a price for the viewers. We may not care enough to stay along for the ride. We’re not sure whose side to be on and first impressions leave us with nobody that’s especially likeable, interesting or complex. Despite the quality of the cast, which also includes Kyle Chandler as the second oldest, John, the arrival of Chloe Sevigny (right) as one of Danny’s former girlfriends felt like the first real spark in the show; the only character not hollowed out by years of Florida sun and midday cervezas. 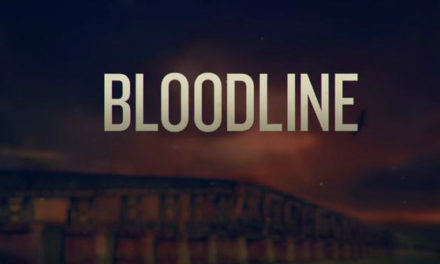 “Bloodline” stretches out to 13 episodes, each about an hour. To avoid spoilers, let’s just say it is about the third episode before we start to know anything about what is going on. Things start to pick up about the fifth episode – finally! – but it’s only in the last three or four episodes that the series fully lives up to its promise. 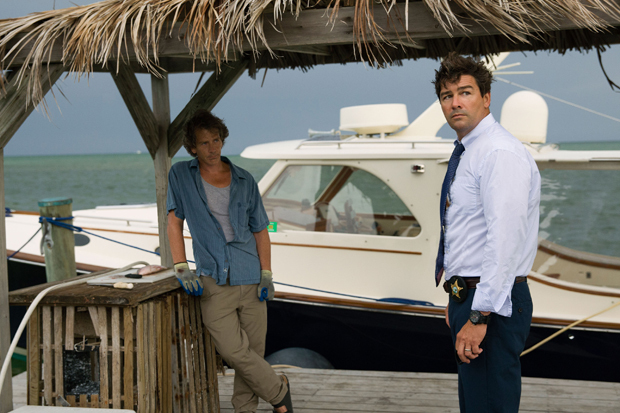 All along, “Bloodline” feels like a single season TV series. There is resolution at the end, but also a new thread that may be just strong enough to pull us in for the recently announced “Bloodline” season 2. Look for it on Netflix in 2016. June – Glad to hear you enjoyed it. I actually liked the series more the second time I watched it. Netflix has said there will be a season 2. I’ve heard really good things about this show, but when I tried to watch it I just couldn’t get hooked. I watched the first three episodes and I couldn’t figure out what was going on between the two brothers and the awkward family situation. How far into it do you think I have to watch for things to start making sense? I’m always willing to give it another shot! By the way, this is a great site! 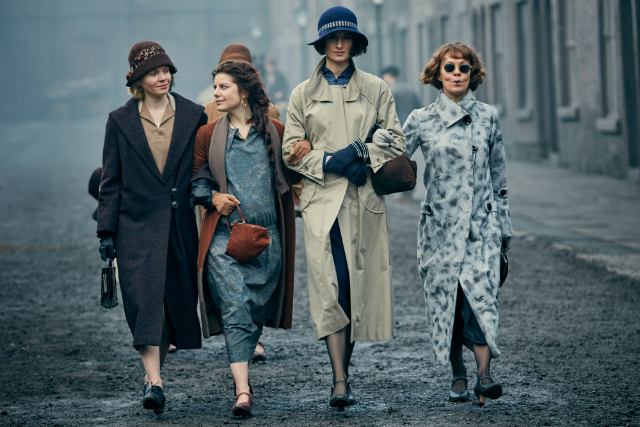 I am also a Netflix junkie and always enjoy learning more about new shows!